Forced to contend with unprecedented levels of psychological trauma during World War II, the United States military began sponsoring a series of nontheatrical films designed to educate and even rehabilitate soldiers and civilians alike. Traumatic Imprints traces the development of psychiatric and psychotherapeutic approaches to wartime trauma by the United States military, along with links to formal and narrative developments in military and civilian filmmaking. Offering close readings of a series of films alongside analysis of period scholarship in psychiatry and bolstered by research in trauma theory and documentary studies, Noah Tsika argues that trauma was foundational in postwar American culture. 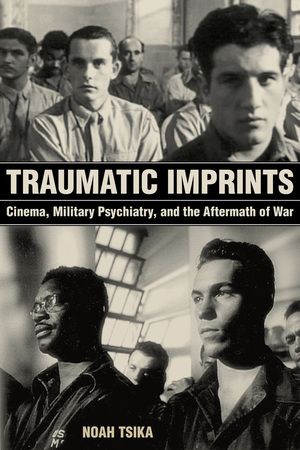 Examining wartime and postwar debates about the use of cinema as a vehicle for studying, publicizing, and even what has been termed “working through” war trauma, this book is an original contribution to scholarship on the military-industrial complex. Noah Tsika is Assistant Professor of Media Studies at Queens College, City University of New York. Among his books are Nollywood Stars and Pink 2.0.